My design was #202 and yes, I was thrilled to even be in the top ten! My motivation was that Luann is my favorite comic strip. I call them “my people” about whom I need to find out what is going on each day in their lives! In fact that is truly the first thing I read each morning! As the mother of three daughters, grandma of eight granddaughters and great grandma of yet another girl…nope! No boys!… I have been around little girls, beautiful brides and lovely dresses for a long time now! 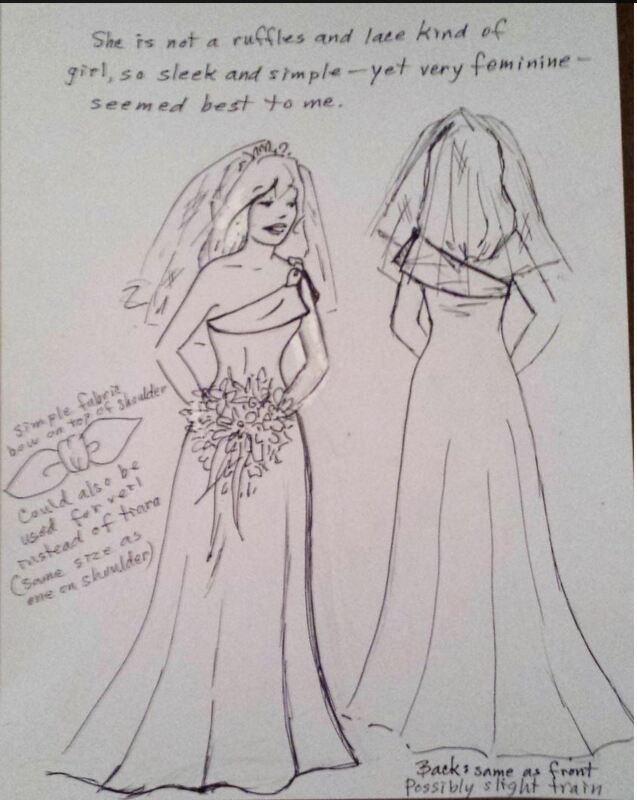 That does NOT mean I ever saw a dress like the one I designed! I just woke up one morning and there it was in my head. I hurried and put it on paper before it faded away. I wanted something sleek, simple, stylish and classy for our very feminine firefighter. However, in my last semester I took a fashion design class. I loved it! However, it was way too late to make it a major; especially since I had already picked up a second major in elementary education. (Not so subtly, my mother had asked me what I was going to do with my design major!) Therefore, I taught Kdgn and 1st grade for a while, then worked as a proofer in our print shop after I married. Though not trained in fine art, I started painting; specializing mostly in portraits and murals. I grew up in Los Angeles but became a California import when I got married and have lived in the Scottsdale area of AZ ever since.